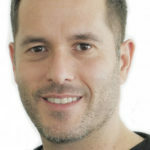 “Docker changes the way an organization delivers software in ways that haven’t been done in a generation.” JAXenter editor Gabriela Motroc talked to Matt Saunders, Principal Consultant at Contino and JAX DevOps speaker, about containers as a technology and what it means to adopt technologies such as Docker. 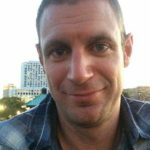 Matt Saunders is a pragmatic technical operations architect and leader, using DevOps to deliver quality software quickly and efficiently. With a background in both enterprise and start-up worlds, Matt aims to bring the best of DevOps and continuous delivery ideas to software delivery teams of any size, usually using Docker. Matt is also co-organizer of the London DevOps meetup—a group with over 2,500 members which meets monthly. Matt is a pragmatic technical operations architect and leader, using Devops to deliver quality software quickly and efficiently. With a background in both enterprise and start-up worlds, Matt aims to bring the best of DevOps and continuous delivery ideas to software delivery teams of any size, usually using Docker. 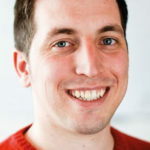 Matt is also co-organiser of the London DevOps meetup—a group with over 2,500 members which meets monthly.